The mission of Belton Interfaith Ministries Association is to assist in meeting basic emergency needs of individuals and families in Anderson county. 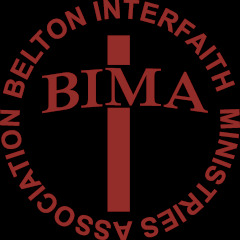 "Belton Interfaith Ministries Association, BIMA, was started by a few churches in Belton in the 1990s. The goal was to have a central place for people in need to go and find help. Today more than 20 churches have joined together to support this ministry. BIMA is a 501(c)(3) charity non profit organization." BIMA is a distributor of U.S.D.A food from Golden Harvest Food Bank. As a distributor, BIMA is required to give food to anyone in need, who lives in Anderson County, South Carolina. Requirement to receive food: You must come to BIMA bringing a picture ID, showing that you live in Anderson County. Click the picture above, to learn more about BIMA. Be sure to select "full screen" for the best view. Individuals who are deaf, hard of hearing or have speech disabilities may contact USDA through the Federal Relay Service at (800) 877-8339 or (800) 845-6136 (in Spanish). USDA is an equal opportunity provider and employer. We will be closed Easter Monday April 22. BIMA is in need of a large freezer to store our frozen donations.